Poll: When You Go for a Spinning Trick, Which Rotation Direction Are You Strongest? Many performance based sports like figure skating and freestyle skiing as well as most dance styles incorporate spinning. 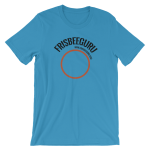 Freestyle Frisbee is no different. Adding spins to any trick ups the difficulty and adds to the artistic value. I came across an interesting article about different disciplines and the performers prefered spin direction. According to the article it seems that few, if any performers will rotate both ways. It also seems that many “athletes” spin counter clockwise while many “dancers” spin clockwise. Of course there is no rule that says one must spin in a given direction and every discipline has exceptions. The article doesn’t really conclude why one spin direction is prefered over the other, but preferences are quite clear. This left me wondering about spin direction in Freestyle Frisbee. Perhaps our preference will reveal whether we are athletes or dancers. This Poll asks, when you go for a spinning trick, which rotation direction are you strongest? Note that this not asking if you can do both. Yes, I can catch either direction, but percentage wise I have a much higher chance of catching if I spin counter clockwise. When You Go for a Spinning Trick, Which Rotation Direction Are You Strongest? I am asking myself if the prefered body spinning direction depends on the disc spinning direction!? I play clock and spon counter…hmm. Here’s a possible explanation. The most common set to a spinning catch with clock is right hand pull under the outside left leg into the set. The motion of the leg and arm already has the body moving counter clockwise. Momentum from this set makes counter clockwise spinning easier. However, I was watching Arthur do spinning catches a few weeks ago. Instead of pulling out and up, he did a right handed shoot across his chest and spun clockwise. I tried it and discovered that I could make a very consistent set and my momentum propelled me to spin clockwise. Perhaps there’s a series of articles or videos about various sets that lead into spinning moves. Interesting thesis Flo – Clock is my native spin and spinning counter is my native choice. My feelings are, that it has nothing to do with the spin of the disc. When I give myself a counter set, I like to spin counterwise more likely as well as with clock Zs. I think my inner spin is counterclockwise. because osis is a different feeling. its like the “against” of spin directions. also, you can then cath it with the same hand and under the same leg that you are used to. that makes total sense, that you spin osis in the other direction. when i started, i always thought it is clear that with a clockwise disc, one should sbin counter, and with a counter disc, one should spin clockwise. For one, the set is easiest (non cross-chest set, right hand with clock, left hand with counter), and also, that way, the body and the disc are like two gear wheels, gripping into each other. for rolling and brushing, it is much easier to spin the other way than the disc is spinning because at the contact point between body and disc, both objects move in the same direction (gear wheel concept). for me as a more counter player, it still feels better to spin counter, no matter what spin the disc has. so i always thought i was doing something wrong. but now i have noticed, that almos al clock pplayers spin counter, but many counter players spin counter as well. So i guess it is some sort of preference in the body, maybe like right handedness. My body naturally spins left. I prefer counter throws. 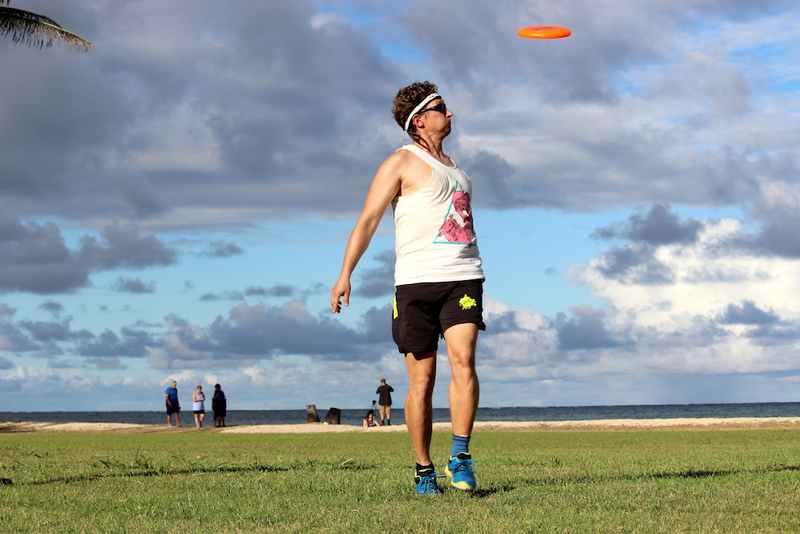 When I set the disc for a spinning catch, it’s left handed pull behind the back or under the leg set and go. But off a counter roll, you should spin right, to go with the movement and that’s always been a challenge because I’m not very good at spinning my body to the right. Goals!